Guenard French Hazelnut Oil. 500ml. 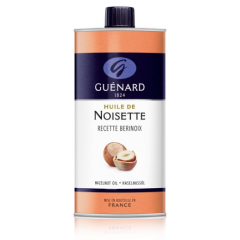 Home > Oils > Guenard French Hazelnut Oil. 500ml. 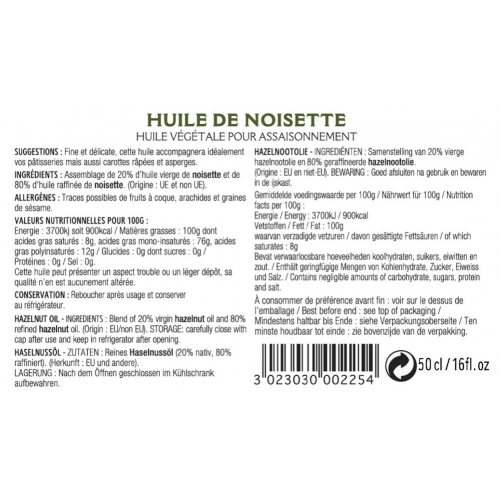 This hazelnut oil with its mild flavor and smell adds sweetness to your recipes. 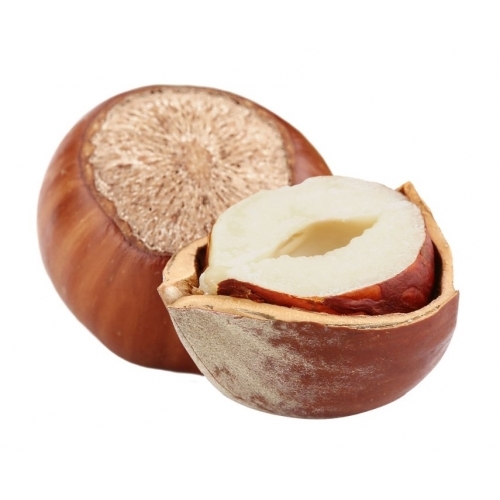 In fact, it is composed of 20% virgin hazelnut oil and 80% refined hazelnut oil, which gives it a more subtle taste. A blend of 20% virgin hazelnut oil and 80% refined hazelnut oil.